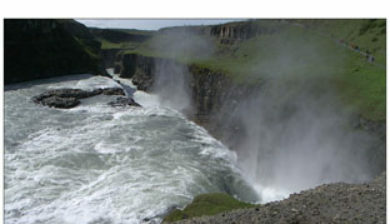 is a waterfall located in the canyon of the Hvítá river in southwest Iceland. 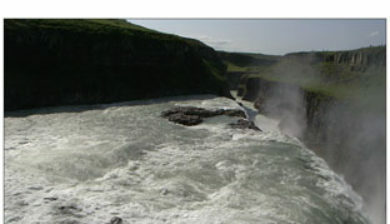 Gullfoss is one of the most popular tourist attractions in Iceland. 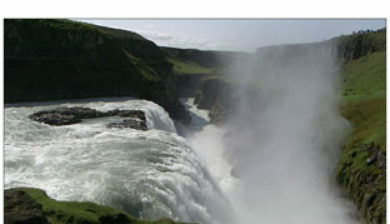 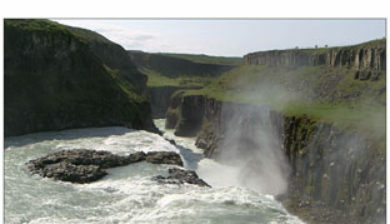 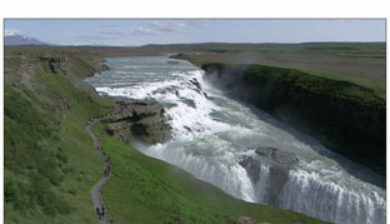 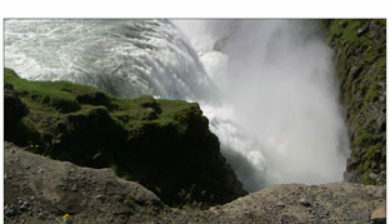 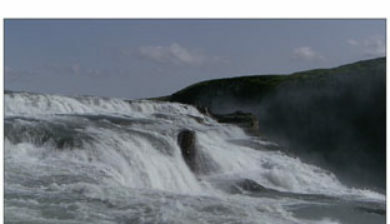 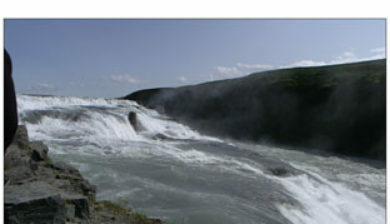 The wide Hvítá rushes southward, and about a kilometre above the falls it turns sharply to the right and flows down into a wide curved three-step “staircase” and then abruptly plunges in two stages (11 metres or 36 feet, and 21 metres or 69 feet) into a crevice 32 metres (105 ft) deep. 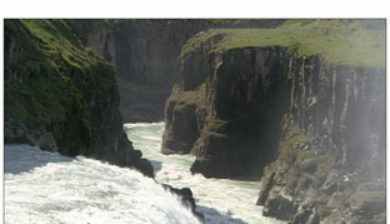 The crevice, about 20 metres (66 ft) wide and 2.5 kilometres (1.6 mi) in length, extends perpendicular to the flow of the river. 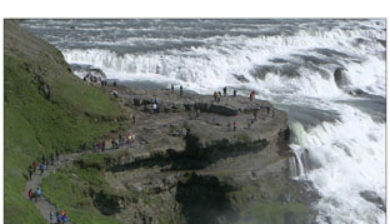 The average amount of water running down the waterfall is 140 cubic metres (4,900 cu ft) per second in the summer and 80 cubic metres (2,800 cu ft) per second in the winter. 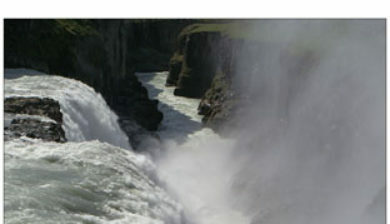 The highest flood measured was 2,000 cubic metres (71,000 cu ft) per second.